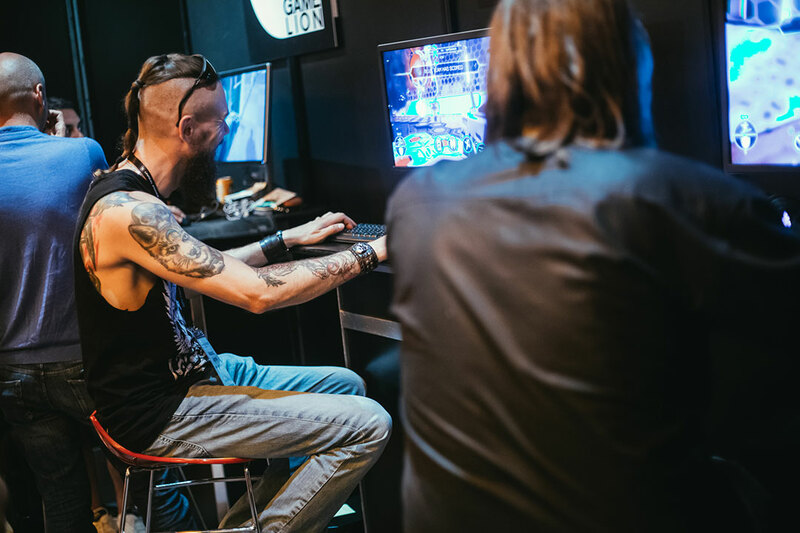 The gaming community gathered on the English south coast last week as Develop:Brighton, Europe's largest game developer conference, hosted another successful event. 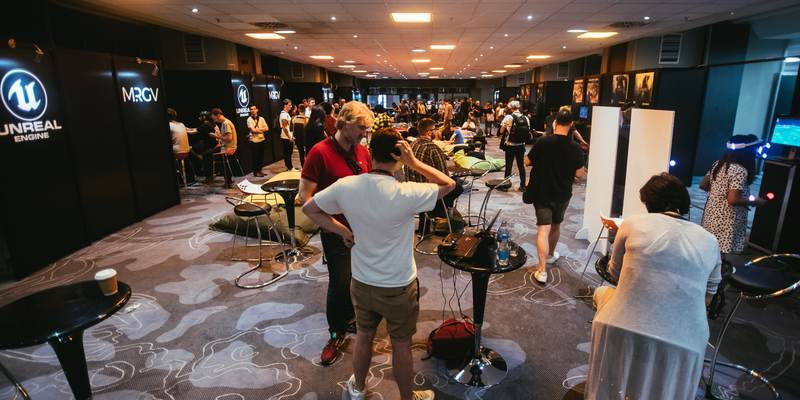 Epic Games was pleased to provide Unreal Engine developers an opportunity to be showcased in the Unreal Networking Lounge, which offered 10 studios the opportunity to showcase their upcoming games to potential partners, investors and players. Over two thousand people attended the expo and many took the chance to sample what these studios had to offer, discovering some for the first time. The various playable games at the expo demonstrated the scope of what developers can create with Unreal. Whether they were exploring the gorgeous vistas of Nodding Head Games’ Raji: An Ancient Epic, participating in fast-paced games of Atomicom’s Elevate Combat League or trying to bring football home in Cherry Pop Games’ Football Nation VR Tournament, there was a wide variety of content for everyone to enjoy. 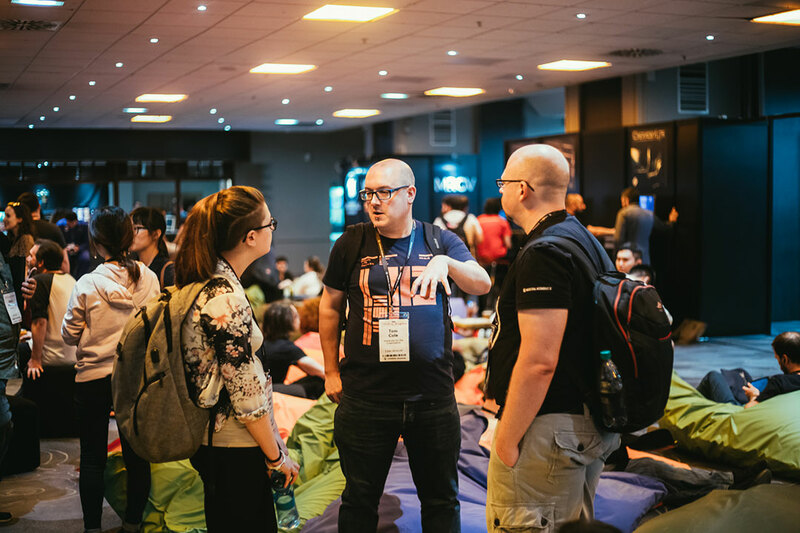 "Attending the Unreal Networking Lounge was a fantastic experience”, added Ilija Petrusic from Lion Game Lion. “It's organisation leading up to and on the show floor was superb. We hope this event goes from strength to strength, and hope we are invited to the next one! For any prospective developers we would recommend that they apply to take part. The amount of support that we have from the team at Epic, not just on Unreal development, but connecting us to relevant partners in B2B, has been awesome!" 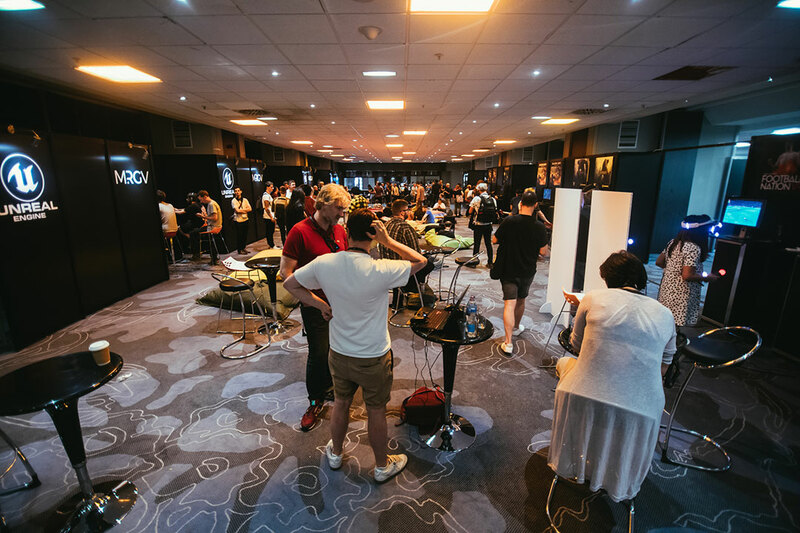 The 10 studios set themselves up in a special area of the expo, surrounding a swathe of seats and beanbags where conference-goers could set up meetings, network or simply take a well-earned rest. A bar located at the far end of the area also helped create a relaxed atmosphere for attendees. “On the consumer side, we’ve had a lot of students coming over which is nice because they’re looking for work,” added Tamsyn, who wasn’t the only developer delighted to hear from the many students attending Develop. 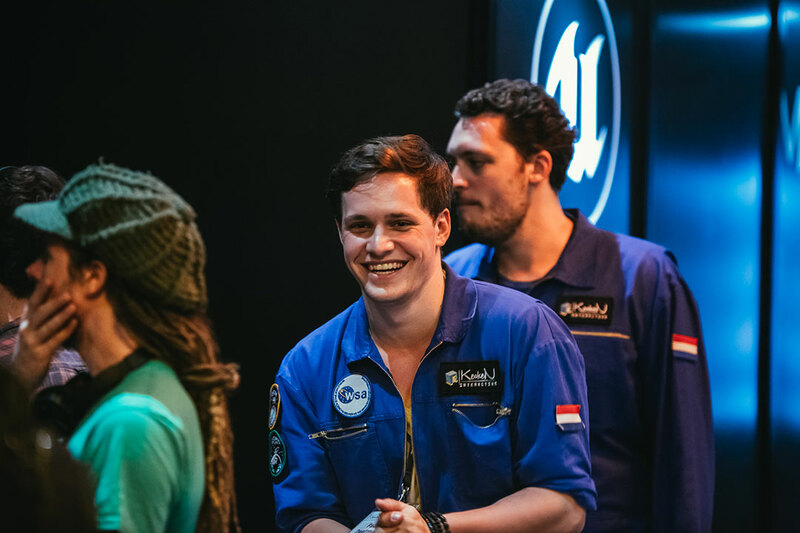 “Not only did [being at the Unreal Networking Lounge] strengthen our relationship with Unreal, we also met a lot of interested publishers, distributors, voice actors, developers and students,” said Koen Deetman from KeokeN Interactive. “The reception to our game was great, it was a great place to meet industry contacts again and visit beautiful Brighton." Each of the studios relished these opportunities to network. “We’ve had students, we’ve had game artists, and we’ve had some publishers come and look at our game. They’ve had positive comments, positive compliments.”, said Avichal Singh from Nodding Head Games. The pride found in the Unreal Networking Lounge was matched at the annual Develop Awards on Wednesday night, where Unreal Engine was once again crowned ‘Engine of the Year’. “As this award is voted on by game developers it means a lot to all of us at Epic. We work hard to provide developers with the tools they need to both create and thrive. This award is a clear reflection of the creative excellence our developers are achieving on a daily basis and we’re proud to be a part of this industry that is leading the way in entertainment technology at every level,” commented Mike Gamble, European Territory Manager, Epic Games. Blazing Core is a multiplayer tactical shooter in which teams of mechas clash across a variety of arenas. Players can customise their mechanised knights and combine abilities to best conquer the battlefield. The game is set to launch this September on Steam. Deliver Us The Moon is set in the near future where the earth's resources are nearly depleted. Players are cast as an astronaut who with their robot companion must explore the lunar surface exploring abandoned facilities, uncovering mysteries and maybe finding the key to humankind’s future. Elevate Combat League is a futuristic sports game set in a deadly future where ECL has come to be the planet’s most popular, and only, sport. In it, teams or individuals compete in high-tech arenas that react to player actions and change in real time. Football Nation VR Tournament is the world’s first first-person football game, out now across PlayStation VR, Oculus Rift and HTC Vive, in which players can play solo against AI or take part in real-time multiplayer games with up-to eight other players, who can all be on the same side of competing in teams of four. Details regarding Lion Game Lion’s new project will be announced in due course. Details regarding Yager’s new project will be announced in due course. Raji: An Ancient Epic is a gorgeous action adventure game set in Ancient India. Players are cast as Raji, a young girl chosen by the gods to stand against the demonic invasion, rescue her younger brother and face the demon lord Mahabalasura. Terramars is a strategy game about managing the limited resources available to a crew of astronauts living on humanity’s first base on Mars. The twist is that on top of all this, players must manage and maintain the mental and physical wellbeing of the crew as living on the martian surface takes its toll. Winter Hall is a folk horror game about the history and legacy of the Black Death. Players explore the ruins of Winter Hall, inhabiting the bodies of those killed by the plague as to step into the past and learn their stories in an effort to understand more about the protagonists connection to the spooky setting. Kingshunt is a large scale multiplayer title that provides a melee focused take on the Hero-Shooter genre combined with dynamic Tower Defence elements. Players take part in intimate 5v5 objective based matches with dozens of AI units set in a gorgeous medieval fantasy world.